Building a website can be stressful and time consuming for anyone that has no background in web design. In some cases, you will need to hire a web designer to work on the site which might cost a lot of money depending on the type of website. However, the availability of website builders like Weebly has made the design work on sites much easier and faster. Weebly gives individuals and companies looking to have a great site on a budget the opportunity to see their dreams come true. No matter your dream website, you can build it using Weebly. Weebly provides a wide array of templates that make it easier for you to build a website of your choice. The templates can be customized to meet your needs or those of your company to ensure that the final site matches your expectations. The customization process is done using the drag and drop editor allowing you to get the website of your dreams. Websites built using Weebly are responsive, meaning that they can be comfortably viewed on a Personal Computer as well as mobile devices. The website builder also focuses on creating a high- quality user experience that is similar across the board. Fortunately, set up of responsive sites using Weebly can be done by anyone regardless of their knowledge of website design. Selling of products using a website that is similar to a regular storefront is possible using Weebly. The website builder offers different types of e-commerce templates as well as add-ons that make the site look professional. Weebly makes it possible for the person building the site to edit the inventory using the admin panel resulting in an attractive website. Websites create using Weebly are already optimized, meaning that the site and the content placed in it, will be easy to find through various search engines. The configuration of the section is done by adding meta descriptions, sitemaps and doing proper formatting of HTML among others. Additionally, the website builder offers a variety of tutorials on SEO optimization to enable users to set up their site professionally. Weebly provides technical support to those building a website through its platform in a variety of ways which include helpful blog posts, user guides, and tutorials. The guides are in a simple format and can be understood by a layman or professional designer. In addition to the mainstream avenues available to those building websites, the customer service team can be reached via live chat, FAQs and even a contact form. The Box Bros is a favorite e-commerce site among designers with many seeking to replicate it for clients or personal use. The website has a homepage that consists of some photos that showcase the products sold by the company. It has a navigation panel at the top that makes it easier for shoppers to choose the one they need. Also, the navigation bar has a “Contact Us” that makes it easy to connect with potential clients. Casa Vacations is a travel agency for the luxury market whose website is quite breathtaking, to say the least. The website consists of a video showcase of various destinations that are offered by the company. Also, the site has incorporated a grid template that consists of a blog and other services offered by the money. The easy-to-use template makes it easier to design a unique travel website for both small and large companies. Rose City Sweets is an e-commerce site that sells diverse types of candy through their online shop. Its landing page is one-of-a-kind as it displays the logo of the company on its own for maximum impact. It has a navigation bar at the top of the site which makes it easier to shop online. On the shopping section is the “our sweets section” which has a drop-down menu allowing online users to choose between sweet confections and cakes. Plug & Play is a creative agency website that has used one of the unique templates offered by Weebly to create a great platform for themselves. The page has some of highlighted areas such as their portfolio and the number of clients they have served so far. Most times, the overall design of the site when using Weebly is a way through which they sell themselves as well. Charigami is a site that offers students and other independent visitors a chance to own cardboard furniture in their home, office, and shop. The site has adopted a unique font that is seen throughout the site as well as their other types of formal communication. Visitors to the site can shop for their home, office and through the events as well. 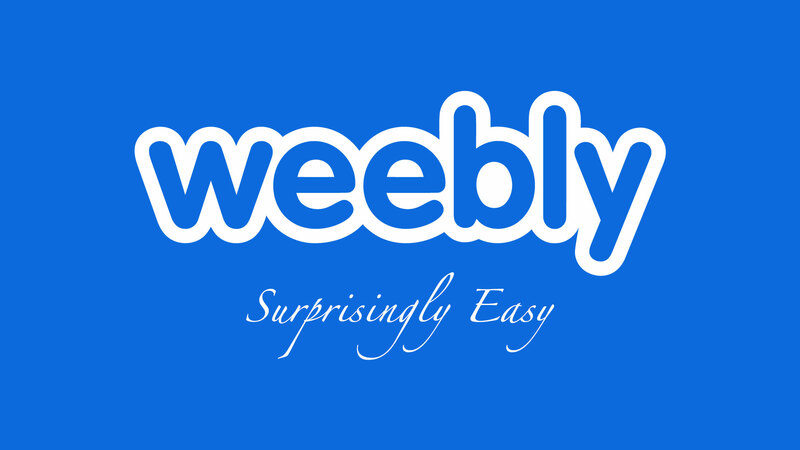 In general, Weebly is the best website builder for small businesses looking to have a professional look when online. The websites built using the platform are considered help companies reach their full potential by giving them a chance to start on the right footing. If you need an awesome website, consider signing up for Weebly and start the journey of designing a one-of-a-kind site.